MacKenzie Place Fort Collins was really nice. It's just a little bit farther from where I live than some other places. It's very clean and the restaurant looked phenomenal. They had staff members for just the restaurant. If it was a little closer, I would definitely put my mom there. The staff member was very helpful and very informative about all the different activities and facilities. She just did feel a little rushed when we wanted to go through the memory care side. The rooms were really nice. I saw the swimming pool, a spa, a salon, a bar, pool table areas, and a library. MacKenzie Place was a very well-managed and desirable facility. The staff was very accommodating, took the time to take me through the facility, and even let me visit the memory care part. The person who took me around was very knowledgeable. The rooms were relatively large, very plain, the dining area was attractive, and the activities were well-planned. MacKenzie Place Fort Collins was good and very nice. The staff members were very positive. The room was beautiful. There was a tremendous amount of activities. It seemed like they had physical therapy and music sessions, and there was a beauty shop. I really liked that they have therapy and the availability to medical care when needed. The dining area looked nice. MacKenzie was OK, but it was in the middle of town, which I didn’t care for. MacKenzie Place was pretty nice and had very nice, clean, and up-to-date rooms. They had a library, game room, and kitchen. The people there were excellent, friendly, and informative. The dining area was very nice and aesthetically appealing, and the food was very good. I really liked it. Mackenzie Place - Fort Collin is so large that it would have been hard for my mom to meet people, and it's very high end and a little too fancy for her, but they offered everything, and it's very nice. The grounds are very nice, and everything about it was nice. It was homey and had everything -- like a bar that the people go to on Friday nights -- they serve a little alcohol, and they have a band. MacKenzie Place Fort Collins was very classy and nice. I walked in unannounced, and it went really well. They have nice staff, Michelle -- the marketing girl -- did a very good job, and my wife was very happy with the facility. They have group activities and tours and trips to Black Hawk, Denver, theater, and movies. It's good, and they had all levels and long term care, but they didn't have nursing care. They have all 3 meals. I have visited Mackenzie Place. They were very helpful. It was very nice. They have everything. They have tours. They have a workout place, a swimming pool, and a restaurant. I liked MacKenzie Place Fort Collins. It was homey yet classy and had a lot of things that I was looking for. What was impressive with that was they had a visiting professor. So, intellectually, they were stimulating the seniors. They had a lot of social and physical activities, like physical therapy. They also had a pool. The staff was friendly and accommodating. I was very impressed with MacKenzie Place Fort Collins. It was kind of upscale. The person that I was speaking with was very kind and knowledgeable and didn't pressure us. It would have been a very lovely place for my parents, but there wasn't any assisted living available. It was high-end as far as their elegant surroundings were concerned, and the atmosphere was wonderful. Everybody was kind. It was a very welcoming community. The rooms were bigger and newer. I was able to visit MacKenzie Place. The staff was helpful. We were able to have a couple of meals there, and it was good, but it was just too expensive. MacKenzie Place was situated within the city with a lot of local traffic. Their rooms were clean. However, the dining room was really small. I didn't see any activities during my visit. The safety was all right, based on what I have observed. For some reason, I don't like Mackenzie Place that much. I'm living in Mackenzie Place Fort Collins. The accommodations are fabulous, my apartment is exactly what I want, and it accommodates my needs. The facilities here are to my liking, the food is sometimes cold, and I wish it was warmer, but the food itself is good. They started putting it on hot plates and they've accommodated one part of my request. I have a lovely patio overlooking a very quiet courtyard, it's almost tranquil because it's used by the memory care patients, and from appearances it's very good. It's not on a street, I don't have any noise, and so, I like the place. The staff is competent and capable. MacKenzie Place Fort Collins is a beautiful facility, well-maintained, clean, and modern. It had a swimming pool and many activities. They had a theater room, a gym, a library, and a card room. The person who assisted us was outstanding. If I had any complaint, it's that I thought it was a little pricey. We visited MacKenzie Place Fort Collins. We looked at the independent living houses, they seemed to be pretty well built, and there were a lot of amenities that were included. They offered some housecleaning, nurses visits, and across from where the houses is the big main building where the people who have Alzheimer's and who need more care are. I like the fact that once you get in there, if you are failing and you need those facilities, they're right there. They had a workout room, which I was not impressed about because I work out, and it was kind of little. They didn't even have a treadmill -- which I thought was basic -- just because they thought people would fall. They had bicycles, a few little machines, and a couple of weights. They had meals offered. There were several different "restaurants" in the big building. You could go in the evening if you wanted and sit in a bar type of place, and they had a regular restaurant that was very nice. You got this card, and if you wanted to eat at one of these places, you show them your card, and they punch it. The staff seemed to be very friendly, and we liked what we saw pretty much, but it just wasn't meeting our needs. We're much healthier than the type of person they cater to. My fiance was a little unnerved by the old ladies and gentlemen who were walking around who really needed a lot of help. They treated us very well. I went back to ask some questions, and even though I didn't have an appointment, it was no problem at all. MacKenzie is expensive, but it is the only place we could easily get in to, and are very pleased with the care we get. 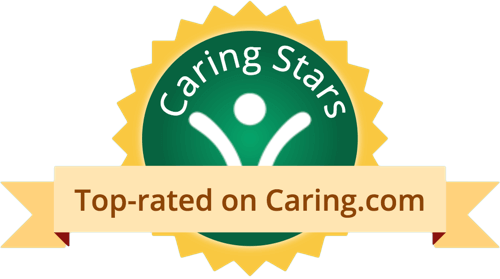 The staff is very helpful and caring, and we are very pleased. The food is fine, but overall I wouldn’t complain about their food, and the dining room is fine. I bought a cottage at MacKenzie Place. It's a two-bedroom cottage. I chose this place because there is no maintenance that I have to do, and I would be able to interact with people in my age group. It would be convenient if I need more services, they are there. I believe they do have activities, but I haven’t explored that very much. MacKenzie Place Fort Collins is very nice and had more of a hotel appearance. There weren't a lot of elevators which in my opinion isn't friendly for the elderly. They didn't take Medicaid there. The staff was very nice. We didnt run into anybody who wasnt great. MacKenzie Place was too big and impersonal. My mom would have to be in a secure wing. They did have a theater and food menus. The staff seemed very nice, helpful, and answered all of our questions. The guy that we talked to went over things that we should be looking for when we go talk to other places, which was quite helpful, and I appreciated that. Money Magazine has named Fort Collins number 1 of its 10 top small cities to live, and for very good reason. Stress-free living, low crime, abundant arts & leisure activities, and fantastic outdoor life have combined to make for one great place to retire. Whether you are looking for active recreational opportunities, a more peaceful pace of life, or a combination of the two, you're sure to find it in Fort Collins. The city boasts six breweries, an ever-changing museum, and a diverse arts & cultural scene. You can always find something interesting to do in Fort Collins! MacKenzie Place, located in the heart of Fort Collins, has been designed and developed around a rather obvious, but commonly overlooked point: Retired folks like to have fun. Lots of fun. Which explains why our activities, travel, dining options, health & wellness programs, and social events are all more fun than you would ever expect to find in a "retirement community." And with three living choices all on one campus, there's really something for everyone. If you're 55 or older, The Cottages offers a purchase opportunity with access to all of the campus amenities. If you would rather lease with all amenities included, The Terrace will strike your fancy. 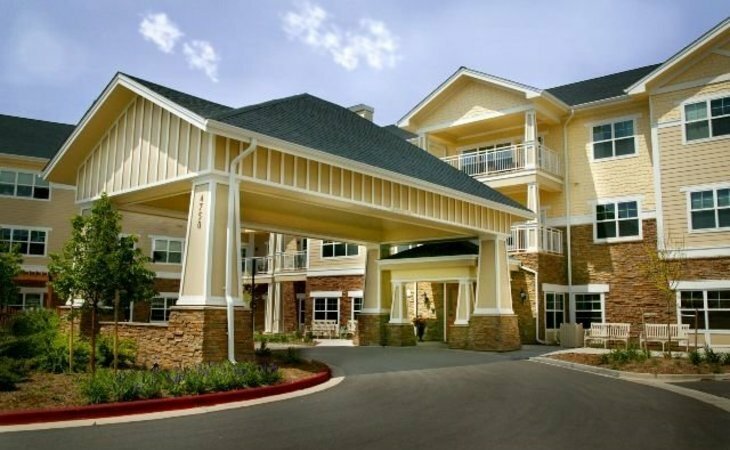 And if you prefer all the amenities with a little extra, The Arbours are our Assisted Living and Memory Care apartments. Three beautiful choices. One incredible bouquet. We like to call it Retirement in Full Bloom. What should caregivers and potential residents know about MacKenzie Place Fort Collins?